The LA Food Fest mission has long included creating opportunities for small indie chefs, restaurants, and food vendors– we specialize in creating a space for LA’s most enthusiastic foodies to get a taste of what’s new, unknown, and not yet launched in the city. Ready to scope out the newest talent in LA? Here’s your insider guide to the new talent featured at this year’s LA Food Fest. This year’s trends? Delicious vegan food, delivery-only concepts, and handmade baked goods with a modern twist. Serving up surprisingly vegan tamales, we fell in love with the homemade soyless chorizo and the incredibly fresh tasting sweet pineapple tamales. 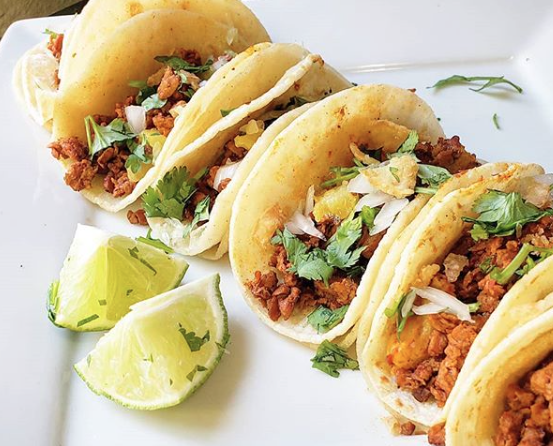 New on the scene and serving up a full menu of vegan tacos and nachos, we can’t wait for you to try their ‘al pastor’ tacos. These unique, globally inspired artisan snacks bring global flavors with a big to a perfect little bite. Find them at the LA Food Fest serving up an Heirloom Melon Chaat– Heirloom melon, Compressed Cucumber, Tamarind Emulsion, Micro Cilantro, and their Panang Curry Little Little Vittles. Social worker turned baker Harui creates beautiful baked goods that give back. 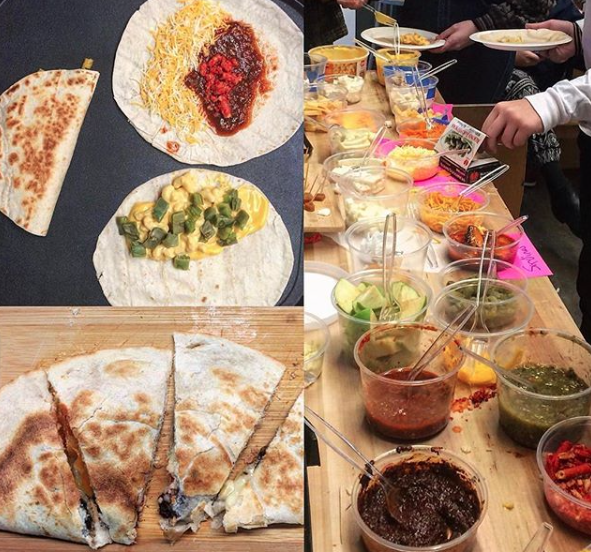 Sweet indulgences created with a mission to give back? Even sweeter. Less than a year old, this Lincoln Heights brewery is already winning awards and making a name for themselves. Colorful, flavorful, and creative in flavors, Treats by B is becoming known for her vegan banana bread, and we can see why. 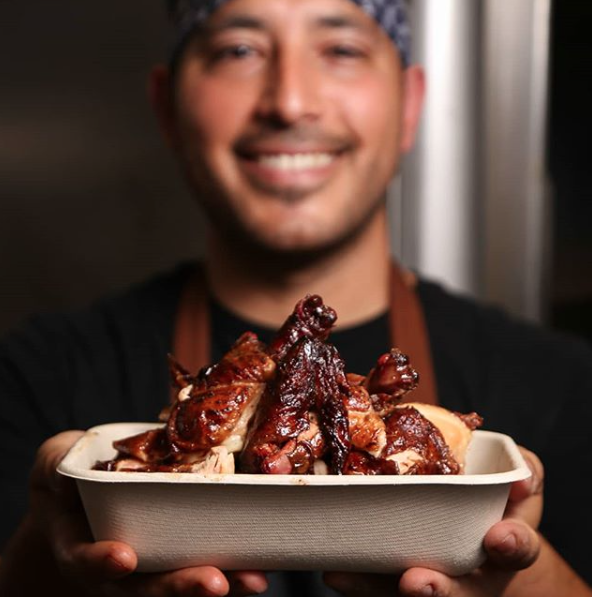 Launched on August 1, this new delivery-only Peruvian charcoal roasted chicken concept from Chef Richie Lopez and the Soigne Group is bringing their incredible chicken to the Fest with a giant rotisserie and stellar cocktails from Soigne. You’re going to want to save room for this one. Specializing in a rotating selection of delivery-only daily made specials, Tukda is bringing the Indian concept of tiffin to LA. Don’t miss their LA Food Fest special – Pani Puri Shots. Newcomers Fishin’ For Brews are on the road to building the perfect fish taco and beer paradise. 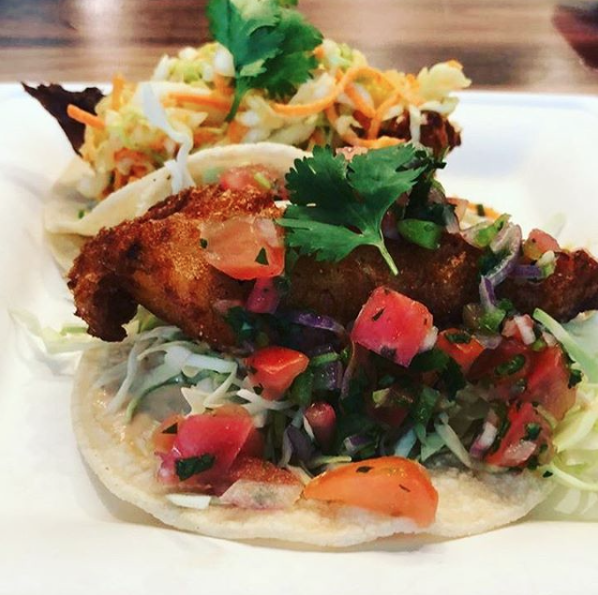 Until then, find them at the LA Food Fest with ‘The Fisherman” – Wiretap Brewing infused deep fried swai taco with cabbage, pico de gallo, and a chipotle spicy sauce. 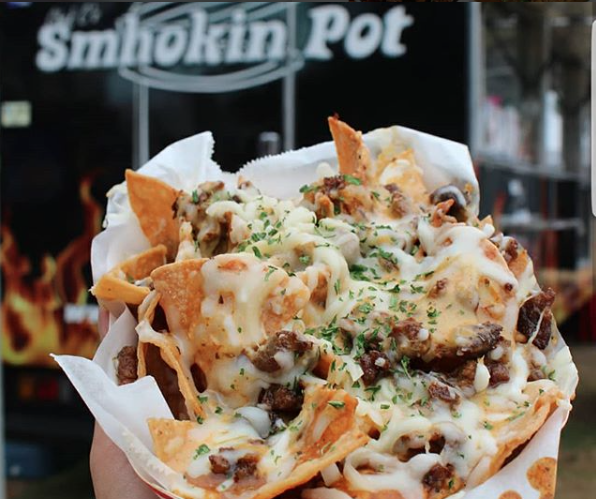 Bringing fresh California cuisine to the streets in their truck, their from-scratch bowls, tacos, and salads offer a fresh alternative to standard fare. Playful, farmer’s market fresh flavors packed into beautifully executed baked goods spanning both the sweet and savory spectrum. Don’t miss their brown butter sugar cookies.